Does Yeshua fit into the eschatology of normative Judaism? Solid guidance and practical suggestions for Gentile Sabbath observance. Meet the new Executive Director over the Union of Messianic Jewish Congregations. 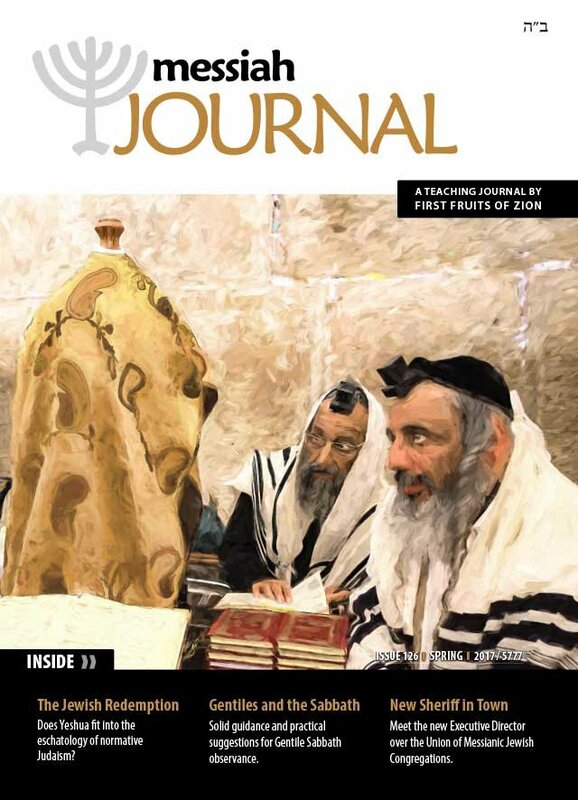 Boaz Michael opens this issue with comments about the miracle of the Six-Day War and the commemoration of 50 years since Jerusalem was once again united. He also gives a brief history of FFOZ and brings us up to date on some brand new resources available. Elazar Brandt shares his presentation to the Hashiveinu Forum regarding what Jews are expecting the redemption to look like. Is there any room in Jewish eschatology for the messianic claims of Yeshua of Nazareth? What should Gentile Sabbath observance look like? How should a Gentile believer’s Sabbath differ from that of a Jewish believer? Toby Janicki offers an explanation of the Jewish perspective of Gentile Sabbath observance and gives some suggestions for making the Sabbath a delight as a Messianic Gentile. Lighting candles is one of the most recognizable rituals of the Sabbath. Aaron Eby explains the reason for lighting candles before the Sabbath begins and the proper way to carry out the ritual. Colossians 2:16-17 is a verse that is often used by Christianity to diminish the commandment to keep the holy days. D. Thomas Lancaster shares how the wording is sometimes translated based on the translator's bias. God's holy festivals are a shadow of things to come, but who or what is casting the shadow? Shayna Michael shares an exclusive interview with Monique Brumbach and gives readers a glimpse into her vision for the future of Messianic Judaism. Sheldon Wilson authors part 1 of 2 in the moving story of Israel Pick, the great nineteenth-century pioneer of Messianic Judaism. Part 15 of Bram: The Life and Wisdom of Messianic Jewish Pioneer Abram Poljak in His Own Words. Earlier excerpts are available in previous issues of Messiah Journal.